Travis O'Neel, originally from Eden Prairie, Minn., played football at UND from 1997 through 2001 and was a member of the school's NCAA Division II national championship team as a senior. The linebacker led UND's national title team in tackles (87) and earned Division II All- America honors from Football Gazette (1st team), Daktronics (1st team), D2Football.com (1st) and the Associated Press (2nd team). In 1999, O'Neel was named to the Sophomore All-America Team by USA Football. A three-time All-North Central Conference First Team performer, O'Neel appeared in 48 collegiate games and amassed 214 total tackles. He helped lead UND to three NCAA postseason appearances and a four-year record of 39-9 (.813). He passed away in June 2015 due to injuries sustained in a motorcycle accident in Thailand. O'Neel, a two-time Academic All-NCC selection, graduated from UND in 2002 with a bachelor's degree in elementary education. He was a teacher in the Phillipines at the time of his passing. In his memory and in honor of Travis' huge impact at the University of North Dakota, his former teammates have established a scholarship endowment in his name. The scholarship or scholarships will support tuition and fees for UND football student-athletes. 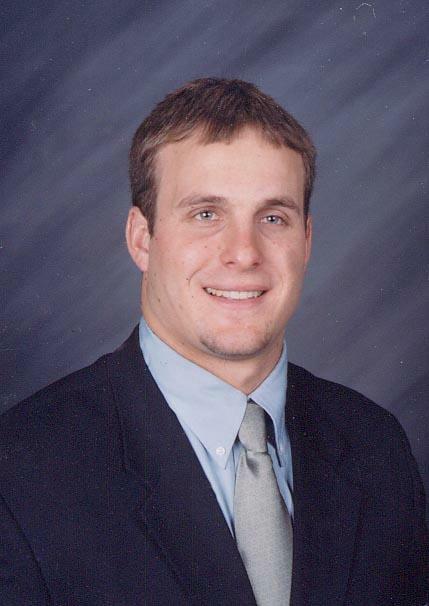 Click here to support a gift to the Travis O'Neel Memorial Scholarship Endowment, which will benefit future UND football student-athletes. If you pay taxes in North Dakota, you may be eligible to take advantage of an additional tax credit on your gift. With a minimum $5,000 gift to the O'Neel Endowment, you may benefit from both a federal tax deduction AND a North Dakota income tax credit equal to 40% of the charitable gift, thereby significantly reducing the net cost of giving. Ask your tax advisor for more information.